US ride-share startup Lyft on Friday dedicated a new team focused on speeding up its effort to create a self-driving vehicle platform, which would be open to use by other companies. The San Francisco based company earlier this year announced what it billed as the world's first open self-driving platform, inviting car manufacturers and rival autonomous navigation systems to plug into the network. "In the years ahead, we will continue to bring the world's leading automotive and technology companies onto this single platform to serve a nationwide passenger network," Lyft vice president of engineering and former Google executive Luc Vincent said in an online post. "We aren't thinking of our self-driving division as a side project; it's core to our business." Lyft is devoting an in-house division to self-driving technology, according to Vincent. The team will be based in a Silicon Valley facility called "Level 5 Engineering Center" and its ranks will grow in coming months, the company said. Lyft operates in 350 cities in the US, and plans to run its own self-driving cars on the network, which partners will be free to use and learn from. "Because we're doing all of this on an open platform, it won't just enhance Lyft's self-driving system," Vincent said. "It will accelerate our partners' efforts, too." Lyft announced last month that it would begin testing autonomous ridesharing in Boston under a partnership with the technology startup nuTonomy. The two companies will collaborate to research "all aspects of ensuring a passenger's comfort and safety" in self-driving vehicles, a joint statement about the alliance said. Lyft's move follows a similar effort by Uber, which has been using autonomous vehicles in a test program in some US cities. Earlier this year, Waymo, the self-driving car unit of Google parent Alphabet, reached an agreement with Lyft to test self-driving car technology, according to the companies. Waymo and Lyft are allies against ridesharing giant Uber, which is racing to develop its own self-driving vehicles. 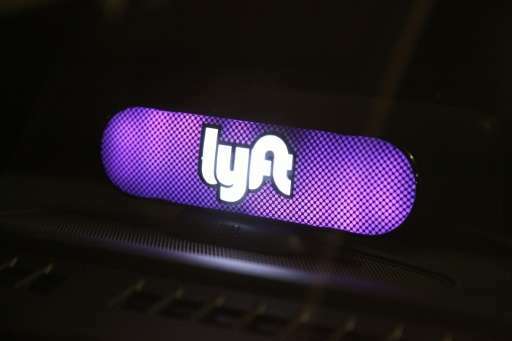 "We're looking forward to working with Lyft to explore new self-driving products that will make our roads safer and transportation more accessible," a Waymo spokesman told AFP at the time. Waymo and Uber are currently engaged in a bitter legal dispute. In February Waymo filed a lawsuit claiming that a former manager took technical data when he left to launch a competing venture that was later acquired by Uber. Most major automakers and several other technology firms have been investing in developing autonomous driving, contending these systems will eliminate the vast majority of road accidents. Apple is the latest to have obtained a testing permit in California. US-based Tesla is also stepping up efforts, as are several Chinese technology firms and the major US, Asian and European manufacturers.